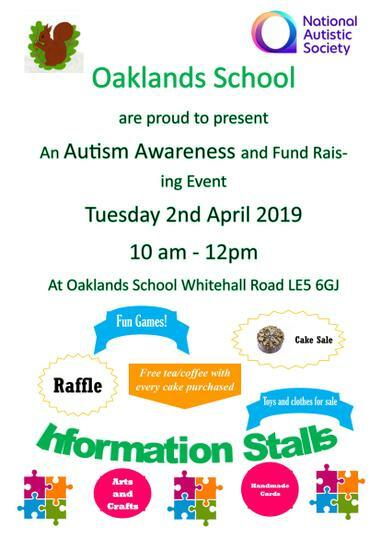 Oaklands School are proud to present an Autism Awareness and fund raising event on Tuesday 2nd April 2019 at10 am - 12pm. There will be a cake sale with free tea/coffee with every cake purchased. Toys and clothes for sale, a raffle and information stalls. Please do come along to this fantastic event!